Jacob Nielsen is an Associate Professor specializing in robotics at the University of Southern Denmark. 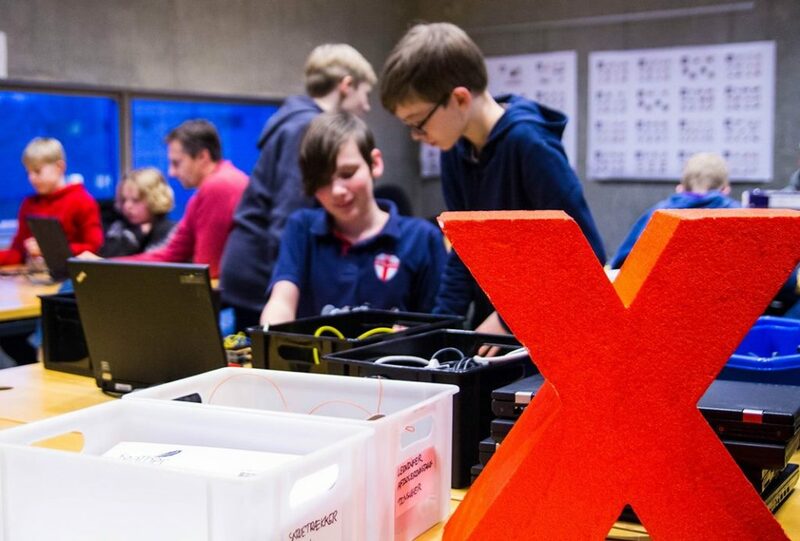 He was also a speaker at TEDxOdense 2017, where together with his colleague, Jørgen Christian Larsen, he talked about their joined project Teknologiskolen, that teaches children basic programming and robotics skills. One year after your TEDx talk - where are you now? What are you working on? We’re developing our Teknologiskolen - we have many partner schools and currently, at 3 of them Teknologiskolen is already an elective course, where the children have a chance to learn about new technologies. One of our teachers is co-teaching the subject with the school teacher and it’s a great opportunity to exchange knowledge and experience, like useful pedagogical tricks (laughter). We are very proud of Teknologiskolen, it was very well-received by the local community. When it comes to our research we’ve just finished an e-healthcare project called “Patient at home” - it’s about getting hospital patients back to their homes as early as possible and giving them the opportunity to rehabilitate at home. We focus on creating devices that will help patients to live their regular lives after suffering from a disease. I’ve been working on a robot that should help in the rehabilitation process - it’s not a product yet but the research went great. We have good indication that it’s possible to adjust cheaper industrial robots to serve as rehabilitation tools and work with patients. So you would agree with the statement that the robots are created to help people? People are often concerned about it. Definitely. Technology is here to serve us and it’s not smarter than us. The computers and robots can process a lot of data but they are not good at reasoning, or they do it only in a very limited way. But we want children to have the ability to create new solutions and that’s why we started Teknologiskolen - to give them a good understanding of new technology and skills to develop it. We would also like to spark their interest as early as possible - at the university, we still struggle to attract girls to the technical courses of studies. At our faculty female students are still a minority. When you look for example at the Middle East, you can see that half of the students in computer science or programming are women. It means that we are doing something wrong, maybe not presenting those fields in a way that is attractive for girls. That’s why we are very happy to have girls in the youngest groups of Teknologiskolen - we hope that once interested, they will keep developing their programming and engineering skills. How did you feel on the stage of Odense Theater? It was a little nerve-wracking (laughter). Once we were on the stage it was ok but the hours before were a little stressful. And the setting is different from what we are used too - it’s primarily one-way communication, where normally we discuss with our students. Did you get any interesting feedback after your talk? Yes, after the talk I’ve met some of my colleagues and parents of our students and they were all very positive about the talks and told us that we did a good job. 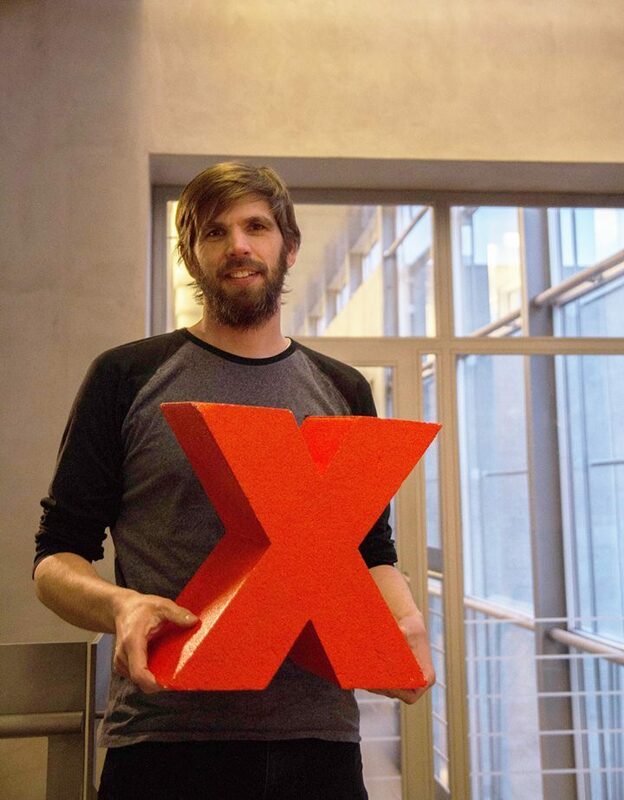 How would you describe the overall experience of being a TEDxOdense speaker? The preparations and the day of the event? It was a very good experience. The whole process of preparing a speech was a lot of fun - we had a few practice sessions with Adam Montandon, the speaker coach. It is very rare for us to set so much time aside to prepare one talk and learn it by heart, it was unique. I think it was both very intense and fun because I’ve never prepared so hard for just one lecture (laughter). But thanks to it we felt well prepared and it all went very smoothly. I would also say that the setting of Odense Theater felt very cozy and it was a great choice for this event. Would you recommend attending the event? Yes, definitely! There are so many different talks, so you will always find subjects that can interest you. And it’s much more intense and interesting than just watching a documentary on TV. There is also a personal touch to it - for us sharing a story of Teknologiskolen from our perspective and listening to other speakers’ stories was very useful and inspiring. This year’s theme of TEDxOdense is “My Other Side” - what’s the other side of your job, the one people rarely think about or might not even know about? I think most people think that researchers and professors are isolated in a way. And we are not! Being a professor today means that you have to be in touch with industry all the time, you have to be in contact with students and follow their projects and you also need to collaborate with other researchers on an international level. Associate professors nowadays need to be in contact with people all the time. Do you have any advice for the next speakers? Take deep breaths (laughter). Just go on stage and keep a positive attitude, then things will definitely go well. That’s all for now - we hope to see you at Odense Theater on April 14th for TEDxOdense 2018! Secure your ticket here.